Hello Bernie! 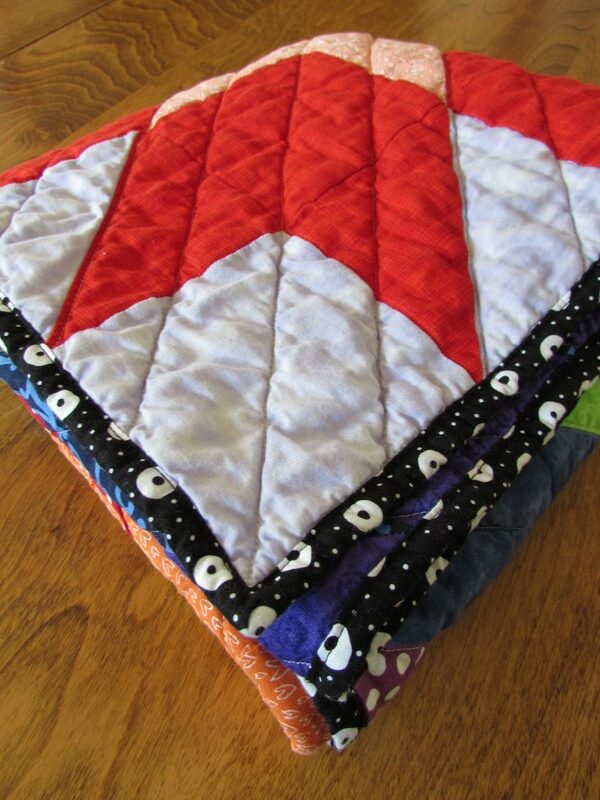 I adore this bright and delightful baby quilt! Thank you for the link to the pattern, I will gladly be snagging it and creating at least one quilt, if not several, for my Project Linus Guild. I am also so thankful that you showed how you quilted yours. 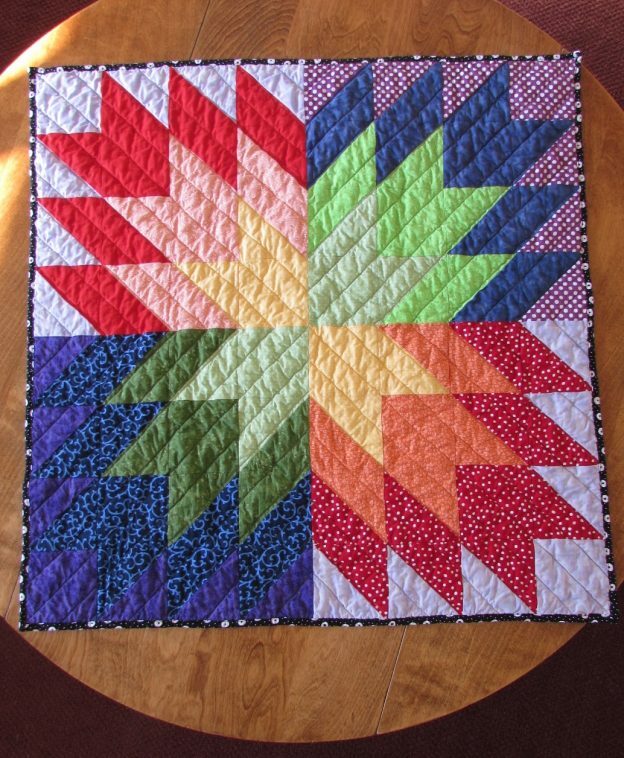 I use my Walking Foot and mainly straight line quilt and seeing the way that other Excellent Quilters (like you, Bernie) quilt their fabulous quilts can give me the confidence to try a pattern such as the one that you have done here! 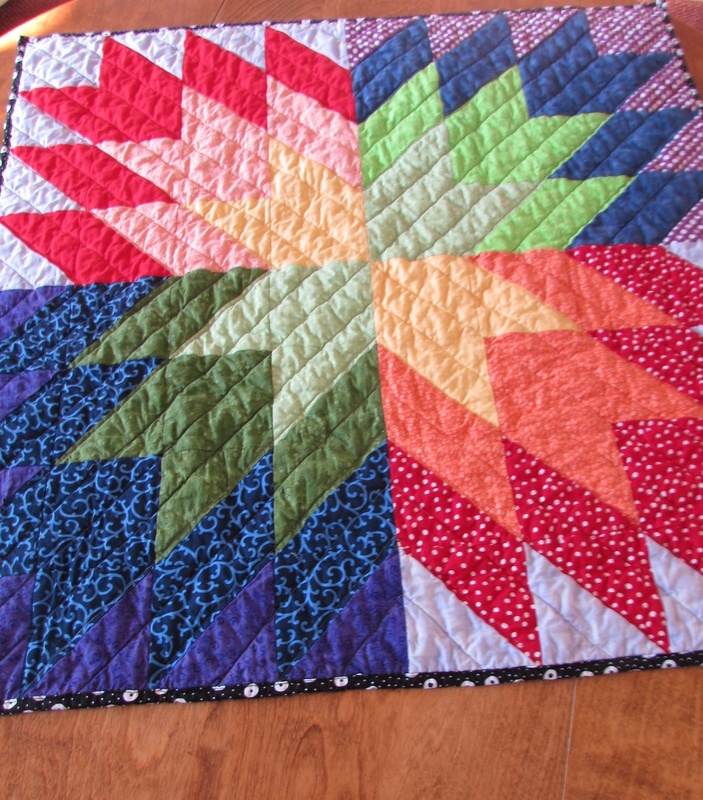 Thank you so much for sharing this splendid quilt post today! You quilt is SPECTACULAR! What a happy quilt, Bernie! I love the colors and the quilting. That backing fabric is really fun; I can see why you want more of it. So nice! Thank you Wendy! This sweet baby was born all healthy and happy this morning. What a treat to have all of these new babies in the family! 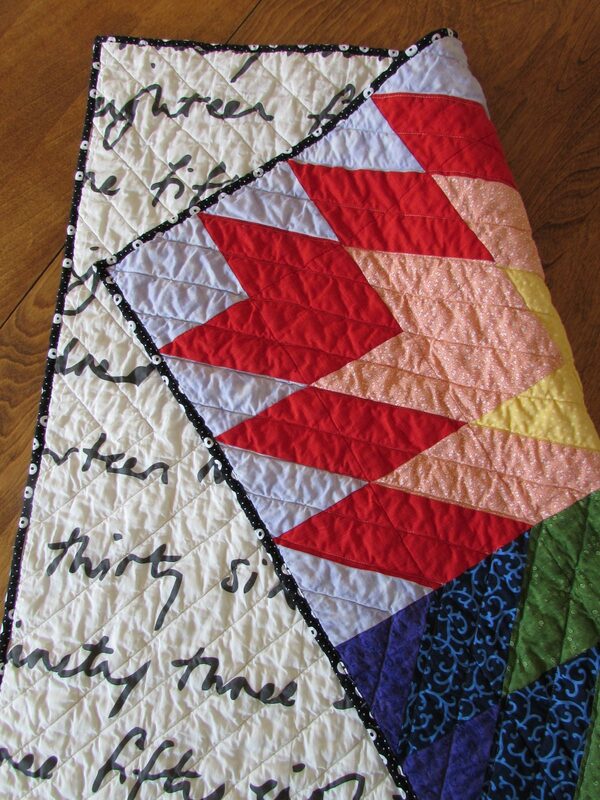 Being an often scrappy quiltere myself, I do like this quilt! 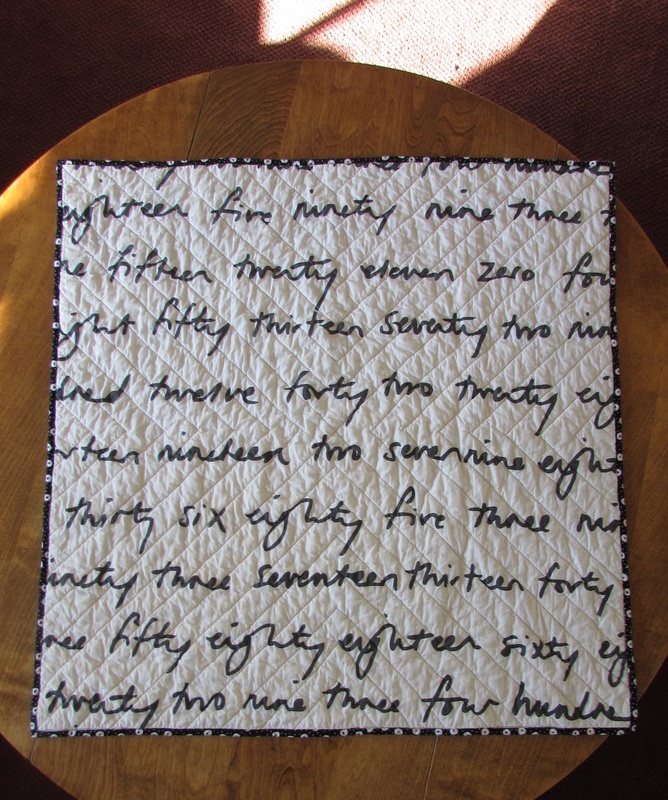 I often cut my scraps into 5″ squares where possible so I may shamelessly copy yours only bigger. Thanks to you and Kristy for sharing! This is a cheerful little quilt thanks for the link as I am always looking for simple quilts I can expand into donation quilts. Hope all is well and that spring shows up soon in your neck of the woods. Bernie, this turned out so bright and fun 🙂 It will be perfect for the baby and sounds like it will get quite a bit of use. That Ikea fabric…man I love it! Thank you Tish. It is just right for baby! Both pretty and cuddly – everything a quilt should be. Lovely, so bright and cheerful, perfect for a baby. The quilting suits the design perfectly and I love the binding. So happy another baby has arrived safe and sound. Great finish. I think I’ll try this pattern. Thank you Deb! I hope I will receive a picture of baby and quilt to share. Also hope you are recovering well!! Oh what a lovely finish! Thanks for participating in the 2017 FAL on behalf of the global hosts!